A new media outlet, The Hudson County View, has officially launched their website after a brief teaser campaign on Facebook over the past week-and-a-half. The Hudson County View will focus on breaking news and investigative reporting in Hudson County and aims to report the news as it happens, when it happens, without compromising the facts in any way, shape or form. “I am absolutely thrilled to undertake this new business venture to do what I believe I do best: reporting the news,” said Hudson County View owner and political correspondent, John Heinis. Heinis, a 27-year-old Rutgers University alumnus, is a former Jersey Journal intern and was the Chief Investigative Reporter for upstart news outlet Hudson County TV in his most recent journalistic gigs. The Hudson County View has also brought on board Michael Shurin, also 27, a St. Peter’s University graduate who will initially focus on running the politics and policy page of the website. 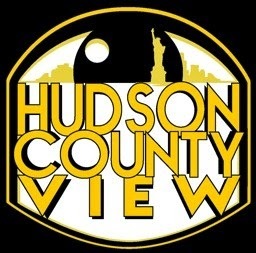 Hudsoncountyview.com has gone live just moments ago and can be liked on Facebook (“Hudson County View”) and/or followed on Twitter @HudsonCoView. All questions, new tips, media inquiries, etc. can be sent to thehudsoncountyview@gmail.com.